The Dagala Thousand Lakes Trek passes by picturesque lakes, Alpine meadows, abundant wildlife and many yak herder camps set to a backdrop of magnificent mountainous landscapes. The centrepiece of this communion with nature is time spent exploring the high altitude lakes overflowing with trout and mystical history. It is a moderate trek with mostly short trekking days, but includes a few steep climbs. 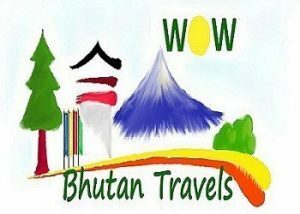 This trek is a great option for those with a desire to experience the variety of flora and fauna in Bhutan, and capture a glimpse of the local nomadic lifestyle. Also includes a tour of the fascinating sites of Thimphu and Paro. Season: Apr – Sep and October. The Dagala Thousand Lakes Trek passes through a stunning variety of scenery set to a backdrop of magnificent mountains. It is a moderate trek with mostly short trekking days, but includes a few steep climbs. Also includes a tour of the fascinating sites of Thimphu, Punakha and Paro. Traverse Alpine meadows, high mountain passes, lakes, abundant wildlife and yak herder camps. Explore high altitude lakes overflowing with trout and mystical history. Capture a glimpse of the local nomadic lifestyle. Trek and drive over high mountain passes affording sensational views of the Himalayan peaks. Drive to the village of Genekha (2800m) to commence the trek. After crossing a bridge over the Wang Chu (Thimphu River), we follow a good track steadily upwards through oak forest to a rocky platform and good resting spot. We continue slowly up through birch and bamboo forest to reach our camp in a meadow at Gur (3350m). Overnight at campsite. We head upwards from Gur on a good trail to reach the alpine zone with open views down the valley. We soon reach a possible campsite at Gibze Kebze (3710m) where we may camp, for although we have only been walking for a couple of hours, the height gain is 360m and you will start to feel the altitude. If everyone is acclimatizing well, we may carry on across hillsides lined with rhododendron to Pagalabsta La Pass (4170m) for fine views of the Dagala range. Continue downwards to a stone yak herders hut at Wataching (4100m). Overnight at campsite. From Wataching we cross several ridges gradually entering more rugged terrain, and follow a broad valley known locally as Labatama, dotted with several yak herders’ huts. We follow the valley to its end to a dramatic campsite below cliffs near to Utsho Lake (4250m), famous for its golden trout. There is time to explore this area and perhaps to climb Jomo if weather and energy allow. The route to Jomo Passes Setsho Lake and from its summit in fine weather are views of Kanchenjunga and Chomolhari. Jomo represents the female deity which protects animals and is much revered, as most people in the vicinity rely on cattle or horses for their livelihood. Juniper will be burned and locals may request that we stop at the lower peak (4530m) as a mark of respect. Overnight at campsite. Leaving Labatama, we cross Labajong La Pass (4400m). For those with energy to spare there is a good view point close to the pass (Approx 30 mins detour). From here there are several camps to choose from. Depending on the availability of water, our camps may vary pre and post monsoon, but we will aim for Panka. If we climb take a different route to Panka. Overnight at campsite. A clear early morning will reveal breathtaking views of Kanchenjunga, Chomolhari and Jichu Drake amongst many more Himalayan peaks. The path continues on through a forest of rhododendrons populated by Himalayan pheasants. We reach enormous cairns at Chole La Pass (4100m). From here, we drop down to Kiwi Chowa (4030m). Our route then continues to a pass at 3960m where four tracks converge. We follow the northern route past a ruin said to have once been a dzong to monitor the movement of locals between Wangduephodrang & Thimphu districts. A ridge leads to Talakha Peak (4300m) revealing great views of the Thimphu Valley. If there is a good weather, Kanchenjunga, Chomolhari and Jichu Drake should be visible from here. From Talakha peak we drop down steadily, sometimes steeply, to reach a mixed forest of fir, juniper, rhododendron, rose, bamboo and birch. Finally we reach Talakha Monastery whose shy monks, tremendous views over the Thimphu valley and outdoor bathtub make for a memorable stay. Overnight at a campsite near the monastery. It’s only an hour’s walk down to the road head and soon we are driving through apple orchards to reach Thimphu, the capital of Bhutan. After checking into your hotel and enjoy some time to unwind and eat lunch, enjoy sightseeing around Thimphu, once a rustic village sitting in a broad river valley and today the nation’s capital. Visit the National Memorial Chorten, completed by the Royal Queen Mother as a memorial stupa for the Third King. Continue on to 12th century Changangkha Temple and the Zilukha Nunnery. Overnight at your hotel in Thimphu. Continue sightseeing in Thimphu. Visit the School for Arts and Crafts, The National Library housing the collection of Bhutanese scriptures dating back to the 8th century, the Traditional Paper Factory and a fascinating replica of a medieval farmhouse at the Folk Heritage Museum. If there is time, you may visit the nursing pen for the Takin, the national animal of Bhutan, and Tashichhodzong, ‘the fortress of the glorious religion’ housing some ministries, His Majesty’s secretariat, and the central monk body. Other options for the day include a hike to Tango and Cheri Monasteries (45 mins), two of the most ancient monasteries in the Thimphu region. If your visit coincides with the weekend, you can walk through the Thimphu Market. Overnight at your hotel in Thimphu. Take a picnic lunch on a riverside before enjoying a pleasant walk through farmland and along the picturesque river bank back to Punakha Dzong. Drive back to Thimphu where you will have an opportunity to visit handicraft and souvenir stores. Overnight at your hotel in Thimphu. The day is at leisure to relax in Thimphu before departing for Paro, or return to Paro early to further explore the beautiful Paro valley. Alternatively, day 12 could be spent on a day trip to the Haa Valley, one of the most picturesque districts in Bhutan. Reached via the beautiful Chelila Pass, Haa Valley is characterised by its surrounding rugged and mountainous terrain. Overnight at your hotel in Paro.